One of the oldest buildings on UCF’s main campus will be given a renovation after 40 years. UCF plans to give Colbourn Hall a top-to-bottom renovation that will clear out and rebuild the structure following changes in building codes and waterproofing issues. A $23 million ‘Trevor Colbourn Hall’ will be constructed in addition, before Colbourn Hall’s improvements, to house the approximately 200 Colbourn Hall faculty and staff and their offices while the renovation takes place. The project will consist of 79,000-square-feet of new space adjacent to the current Colbourn Hall and expects to be put out to bid in July 2016. Construction of the new hall will take 16 months. Faculty and staff will move into the new building once the phase concludes and a complete renovation will take place at the old facility. Renovation takes place for 14 months after the move-in, and includes “replacement of all mechanical, plumbing and electrical systems,” according to senior communications coordinator Mark Schlueb. Waterproofing issues related to the exterior skin of the building, causing occasional leaks – interim work has been done to repair arising problems although a comprehensive fix is needed. Water retention on the second and third floor balconies. A change in building codes over the course of a few decades. The mechanical systems being original to the building, reaching the end of their useful lives – completion of both projects will have the two buildings share mechanical systems. Despite calls to the instability of the current Colbourn Hall, UCF Facilities Planning and Facilities Operations confirmed the building is structurally sound. 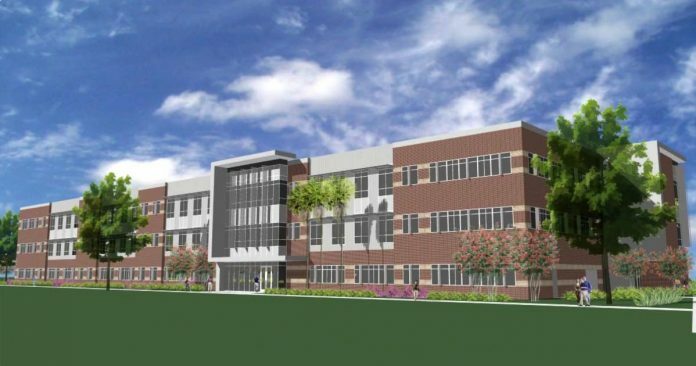 The $38 million-budgeted two-project plan will be overlapped by construction of an Interdisciplinary Research and Incubator facility planned for the UCF main campus in 2016.